Both non-profits and suppliers in the non-profit marketplace must deliver solid customer service. If a charity does not deliver a high level of customer service, the likelihood of the charity retaining their donors is nil. Likewise, if suppliers do not deliver a high level of customer service, the likelihood of retaining the charity customer is the same. Customer service failures are easily identifiable. Think about a time when you became agitated with a company you were dealing as a consumer. Was it an airline, an online store, a retailer, a hotel, or a restaurant? What got your blood pressure up? How could this have been prevented? You and I do not put up with poor customer service as consumers. 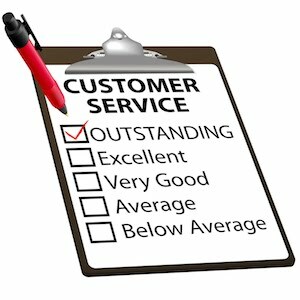 If we receive poor customer service, we likely complain directly to the supplier via letter, email, phone, or, even, Twitter and other more public channels. In our sector, why would donors put up with a charity and why would non-profits put up with suppliers who are not on top of their customer service game? Good customer service begins at home. Your team – whether in a charity or supplier – need to consider their work colleagues to be their customers. We need to be responsive of one another in meetings, email, and other forums. A positive atmosphere is infectious, as is a poisonous atmosphere. Make this the year of customer service. Following these simple tasks will let you, as a non-profit or a supplier in our space, shine throughout the year.